The most common solution being recommended by environmental science practitioners and experts is simply to reduce global carbon emissions to pre-industrial revolution levels. If this initiative is beefed-up with an honest-to-goodness reforestation program, we may yet to enjoy better quality of life on Mother Earth. 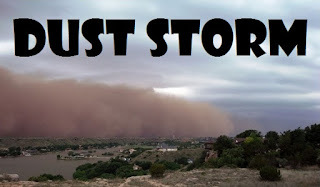 Other problems will naturally fix themselves… such as dust storms.